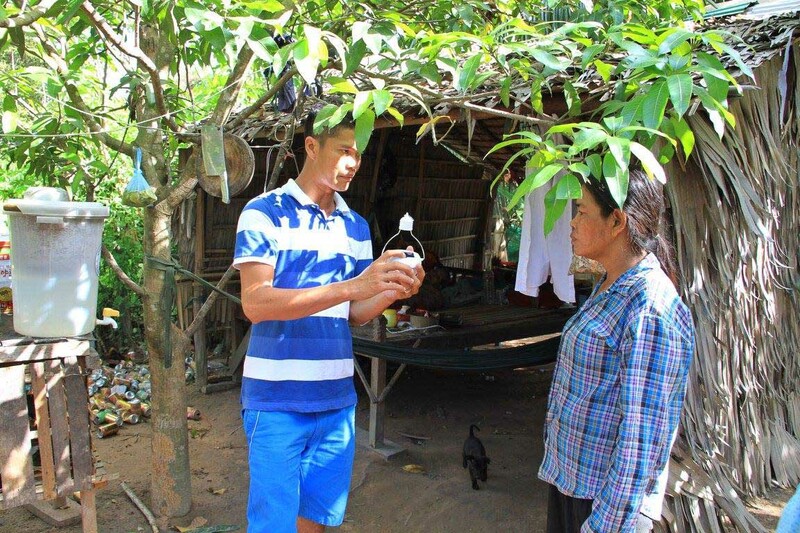 Building Brighter Futures Foundation (BBFF) is a small organization in Australia that is having a big impact on rural communities living in Cambodia. Building Brighter Futures Foundation’s mission is to support and facilitate community based projects and programs that encourage, enhance and enable the gaining of knowledge, understanding and skills that will allow the young people living in these communities to build a brighter and more sustainable future for themselves and their families. And one way they are seeing their mission through is access to light by distributing Nokero solar light bulbs. Sra Srong is located just within a few kilometers of the Angkor Wat temple, a very popular tourist destination for its spectacular Buddhist temples. The Sra Srong community consists of 5 villages with approximately 30 homes per village. With an average of 5-6 people per household, that means a community of 800-900 people. It is estimated that there are around 600 children of school age in the community. However, they still don’t have access to electricity and there aren’t alternative power sources there either. The most common options that are used are kerosene lamps, which are dirty, dangerous and expensive. The other option for power is from car batteries, which are costly to have recharged on a regular basis. 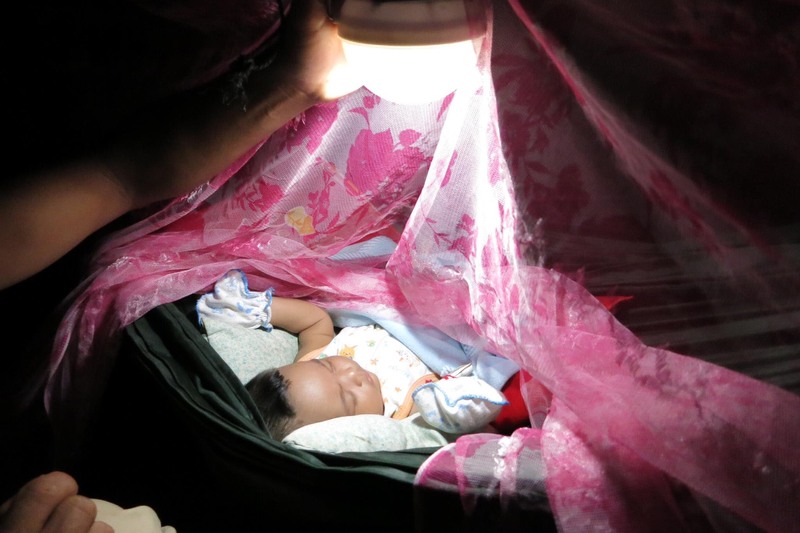 Access to renewable light will allow these families to have safer and cheaper light, freeing up the meager household budget for clothing, food and school costs. When the villagers had been using the Nokero N220s for around 2 weeks, Phirom, the in-country coordinator for BBFF, returned to the village to get feedback and take some photos of the Nokeros in use. The feedback has been incredibly positive. People reported that they were able to work after dark. Many of the women in the village weave rattan baskets, and are part of a collective that BBFF has helped to develop to build the business opportunities within the village. They have also reported that the children are able to do schoolwork after dark, which is a huge benefit as many of the children are required to work during the daylight hours that they are not at school. They also mentioned that there are social benefits now that families can spend more quality time after dark. It’s also much easier to check on elderly family members or new babies during the night. 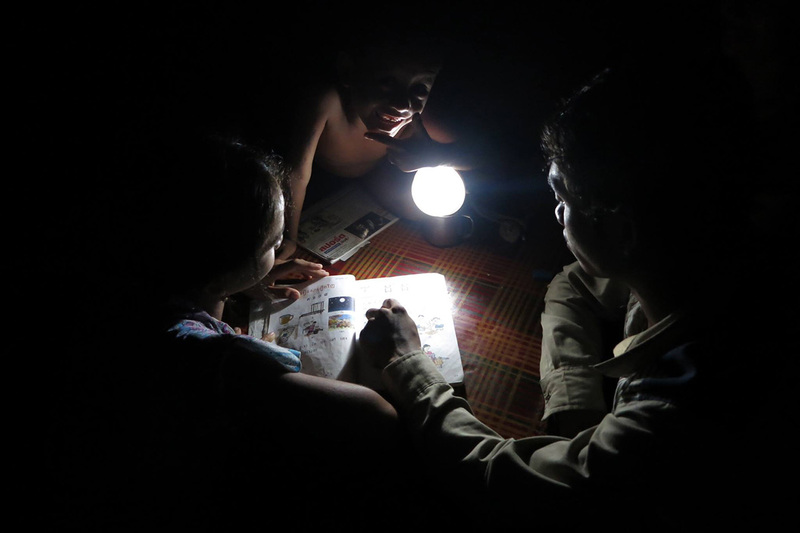 The goal with the first distribution of Nokeros was to only offer them to families who have no other option for light after dark. It was evident after the 30 solar lights were distributed, that there were many more families in this situation than BBFF could cover. During the follow-up community visit, Phirom was also surrounded by other community members asking what options there may be for them to receive a Nokero as well. The obvious need for solar lights was the impetus for BBFF to create a new crowdfunding project to raise donations for 150 more Nokeros! If this story has moved you, please consider making a donation to their campaign at www.chuffed.org/project/givelight/. We commend Building Brighter Futures Foundation for their commitment and dedication to these communities in Cambodia. And thank them for spreading the light. Find out more about Building Brighter Futures Foundation and all that they are doing in Cambodia at www.buildingbrighterfutures.org.au.